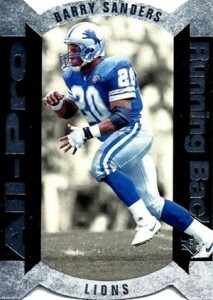 By today's standards, 1995 SP Football would likely fall on the lower end of the trading card spectrum. At the time, though, it was about as premium as you got for football cards. Featuring a slick base set, die-cuts, holograms and more, there's still a certain elegance to the product. But without the hits and serial numbers that came a short time later, it's a lot cheaper than many might expect. 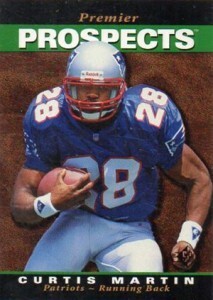 The 1995 SP Football base set has 200 cards. Like other early releases for the brand, the etched foil Premier Prospects subset is where most of the rookie cards are found. Curtis Martin, Kerry Collins and Steve McNair are among them. 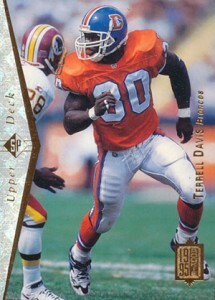 Other rookies are scattered throughout the main part of the checklist, including Terrell Davis. Photos garner most of the attention from the card fronts. Save for one side that has a holographic foil stripe with the Upper Deck SP logo, there's not much else. Gold foil is used for all lettering on the front, further adding to the mid-1990s ideals of what high-end trading cards were. The majority of inserts fall under two banners. All-Pro cards are all die-cut and use more etched foil. Basic versions of the 20-card set are inserted 1:5 pack. Gold parallels are 1:62 packs. The 40 Holoview inserts (1:5) are highlighted by a hologram portrait of the featured player. Holoview Die-Cut parallels are 1:75 packs. 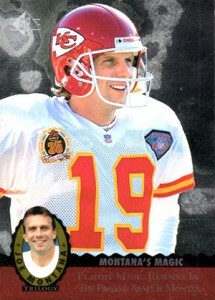 Upper Deck paid tribute to one of their early spokesmen, Joe Montana, in several of their 1995 products. This came following the quarterback's final season in 1994. 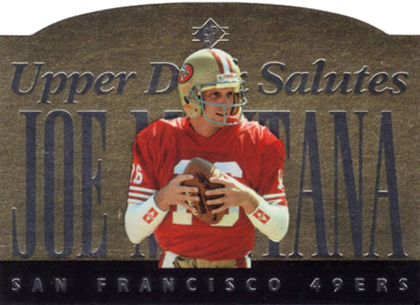 Joe Montana Trilogy is a cross-brand set that is similar to the Football Heroes inserts found in many of the flagship Upper Deck Football releases. Four cards plus one header can be found in 1995 SP Football. Montana also has a special Salute card. Inserted 1:363 packs, it has a die-cut look. 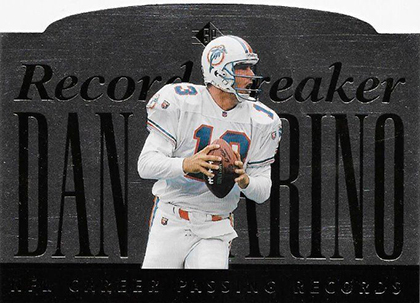 A Dan Marino Record Breaker card has a similar overall look. It too is inserted 1:363 packs. 1995 SP Football boxes have 32 packs. Each has eight cards. RARE SP’s 1995 Playoff “HOG HEAVEN” COOL LEATHER CARDS Short Printed!!! 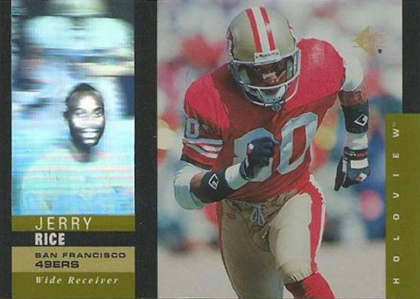 1995 Excalibur - JERRY RICE - S&S GOLD Redemption SP 22K KNIGHT Card #2 SCARCE! 1995 Excalibur - JERRY RICE - S&S DIAMOND Redemption SP - Card #66 - MASTER SET! Shop for base sets on eBay. 20 cards. Inserted 1:5 packs. 40 cards. Inserted 1:5 packs. 5 cards. Set carries through multiple 1995 Upper Deck football products. 1 card. Inserted 1:383 packs.